"...once this (disclosure) announcement is made, it will be the most significant event in recorded human history. The scope of the change it will induce is so awesome, so far-reaching, that it staggers the imagination." 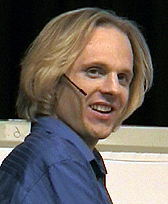 — David Wilcock from "Disclosure Endgame: Free Ebook"
These are just a few of the key videos worth viewing and more will be added as developments unfold. This page features the most recent videos from the year 2009. For later disclosure related videos, see page 4 and page 5. Dr. Steven Greer's long-awaited disclosure documentary is released on Earth Day, April 22, 2013. Gathering together some of the finest evidence and witness testimony to be found in the world, "Sirius" is likely to take the whole disclosure movement to the next level –– if not through the roof! Guest stars include David Wilcock, Paolo Harris, Edgar Mitchell, Dr. Eugene Mallove, Michael Cremo, along with many, many brave whistleblowers from the military, government and corporate sectors. 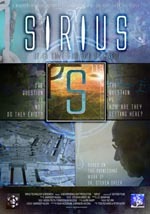 To watch "Sirius" follow this link or click on the film logo images found below and in the left hand column. I Know My Galactic Family Is Here, Do You? (UFO Disclosure) | September 2012 | Time: 18:34 mins. From the folks over at The2012Scenario.com comes a colloborative video in a sincere effort to prepare everyone for the coming disclosure. This video has been produced and released by InLIght Radio for you to share with all your family, friends, neighbours, work colleagues - and the world - to let them know that our Galactic family is here. A Blimp or a glowing UFO above the opening ceremony of the London Olympics?? This object hovering above the Olympic stadium appears in a video of Sky News and Telegraph. Reportedly, London boo makers were taking bets on whether a UFO would appear at the Opening Ceremonies of the 2012 Summer Olympics. Here is fairly compelling proof that indeed a UFO was sighted over the London Olympic stadium during the Opening Ceremonies! Hopefully, some lucky bettors collected on the 1000-1 odds. PROJECT CAMELOT : TWILIGHT OF THE OLD BOYS NETWORK | March 5, 2012 | Time: 1 hr. 21:11 mins. Former NATO Command Sgt. Major Robert Dean and former Army Sgt. Clifford Stone do an admirable job of staying focused on the positive aspects of the future of humanity in this interview with Kerry Cassidy of Project Camelot. Bob Dean's recent near-death experience is particularly compelling. FOX News: UFO Sightings on the Rise in 2012 | January 14, 2012 | Time: 3:17 mins. "LAKE MARY, Fla. (WOFL FOX 35) - The National UFO Reporting Center (NUFORC) says more than 1,000 new reports of UFO sightings have been received since October 25, 2011. A large number of reports have flooded in just this year, with increased sightings in 36 of the 50 states. Over a hundred sightings were logged by NUFORC on New Year's Eve with 13 sightings reported in Florida. On December 11, 2011 in Eureka Springs, Arkansas, three people see an estimated 8 orange objects pass from south to north in the night sky, covering approximately 60 degrees of arc in an estimated five minutes. Two more lights appeared shortly after the first group had disappeared, and followed approximately the same path as the first group had followed." Unbelievable Night Vision Ufo Events!!! | December 28, 2011 | Time: 10:33 mins. Spectacular UFO's filmed using night vision binoculars and cameras. These videos come from all over the US, including the ECETI Ranch, as well as from Marines stationed in Iraq. Alien grey extraterrestrial Zeta Reticuli UFO leaked footage | May 1, 2011 | Time: 1:00 min. March 31, 2011 | Time: 12:40 mins. A compilation of various reports regarding UFO sightings that the mainstream news sources are now being forced to acknowledge because it is becoming increasingly obvious of their validity. More spectacular footage from Jerusalem caught by an American tourist. UFO - TEMPLE MOUNT OF JERUSALEM-THE REAL THING.. Very strange UFO filmed over the Temple Mount in Jerusalem where the Holy Grail was said to be found. As predicted by former NORAD Officer, Stanley A. Fulham in his book "Challeges of Change", there was a major UFO unveiling over the city of New York on October 13, 2010. And mainstream news outfits in NYC went gaga over the story but covered it with a heavy dose of sarcasim and skepticism, as usual. More mainstream news reports, this one from Fox News, which actually does not insult the intelligence of the UFO believers for a change. How ironic! Fox News actually reporting on a disclsoure development!?? Who knew? Well perhaps the tide really is turning now. After you watch this clip you may think so yourself. Ultradimensional UFO: James Gilliland and ECETI Censorship | August 15, 2010 | Time: 3:39 mins. Author, educator and founder of ECETI Ranch James Gilliland joined Secret Message TV to discuss his new video of an ultradimensional UFO flying over the ranch along with censorship of ECETI UFO research data within the UFO community. Hear the entire 60 minute interview on the Secret Message Report - Podcast Edition. Read about this story in the Vancouver UFO Examiner for Examiner.com. Ultradimensional Object w/ Rotating Field, ECETI | August 14, 2010 | Time: 5:14 mins. On August 13, live video was taken of a UFO that emerged out of Mt Adams, Washington State, and flew in the vicinity of 15 people at a private retreat at nearby Trout Lake. According to James Gilliland, owner of the Enlightened Contact with Extraterrestrial Intelligence (ECETI) Retreat, he saw the UFO emerge from what he claims to be a massive ‘interdimensional door” at Mt Adams that is seen as a point of light on the video. The object flew approximately 13 miles towards Gilliland’s ECETI retreat. At one point, the object was only 26 feet above the ground and roughly 50-75 meters away. Gilliland claims that the object is at the very least a UFO, but may be an interdimensional being capable of moving through solid three dimensional objects. UFO at ECETI Ranch | July 4, 2010 | Time: 1:11 mins. UFO caught on video on 7-4-10 at 9:52 p.m by Renato Longato conference guest speaker at the 2010 Science, Spirit & World Transformation Conference at ECETI Ranch. Lake Trout , Washington St. USA. The MapMakers at the ECETI Ranch | Time: 15:23 mins. Excellent video capturing the experience of being at the ECETI Ranch and seeing all of the UFO activity at the foothills of Mount Adams in Trout Lake, Washington. 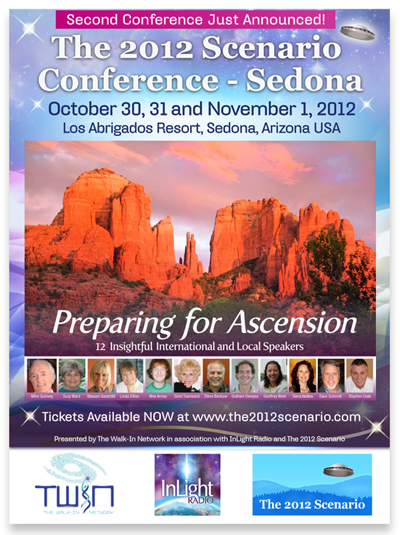 For more information, read our blog posting ECETI Conference Experience: July 2 – 5, 2010. The MapMakers: ECETI Ranch from Commonlink Productions on Vimeo.